EZU Rentals Ltd is sole agent of DOSCH&AMAND products in China and Hong Kong. DOSCH&AMAND provides certification and protocol analyse tools for DECT/CAT-iq™ development, certification and installation. 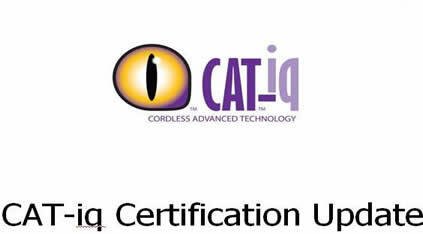 The purpose is to increase product quality and garantuee compliance to DECT/CAT-iq™ standards. For more information, you can visit DOSCH&AMAND web site at http://dosch-amand.com. 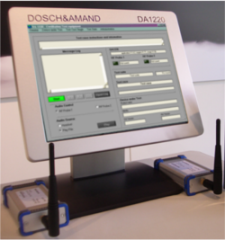 The DA1220P platform combined with a test suite provides a test certification system for DECT GAP and CAT-iq..
CAT-iq and GAP test suites can be downloaded on demand from DOSCH&AMAND Portal. Theses test suites are based on a XML script language, which controls the behavior on the air interface. With option package the customer is able to modify and write new test scripts for development or production tests. DA1220Pis a portable ruggedized Panel PC (15inch TFT Touch sensitive screen) upgraded/adapted to a T&M platform for D&A CATiq and DECT protocol analysis. With its low weight of 3,5kg and small size the DA1220P is the perfect equipment to perform DECT or CAT_iq tests in different places. DA1220R is a 19" workstation and able to used as desk stand T&M system or to be mounted into a 19" rack. The DA1220R platform combined with a test suite provides a test certification system for DECT GAP and CAT-iq. DA1220R can be extended with further PC cards and interfaces by the customer (open system). DA1220-B40 is a handset and base station test suite for CAT-iq V1.0 features. DA1220-B41 is a handset compliance test suite for CAT-iq V2.0 devices. DA1220-B42 is a base station compliance test suite for CAT-iq V2.0 devices. DA1220-B43 is a headset compliance test suite for CAT-iq V2.0 devices. DA1220-B40 is a handset and base station test suite for CAT-iq Security features. DA1220-B34 is a handset & base station compliance test suite for CAT-iq V2.0 devices. DA1220-B45 is a handset and base station test suite for CAT-iq V3.0 devices. DA1220-B46 is a sensor and base station test suite for CAT-iq V4.0 devices. DA1220-B32 is a handset and base station test suite for GAP security features. DA1220-B31 is a handset and base station compliance test suite for GAP devices. DA1220-B1 decodes transmitted/received network layer messages after test case run according the Standard. DA1220-B3 provides an interface to modify exist test cases and suites or to create new test cases and suites. DA1220-B34 extend the DA1220 platform to support DECT 6.0 according Standard. Since more than 15 years DOSCH&AMAND is experienced in Software and Hardware engineering for high-sophisticated solutions in DECT radio communications. DOSCH&AMAND holds numerous technical properties as DECT/CAT-iq™ stacks for single and multicell networks and repeater, PC-based DECT modules, handsets. We provide ready-for-production solutions in Software and Hardware. DOSCH&AMAND designs T&M Systems and R&D Tools for Protocol Analysis regarding DECT GAP and CAT-iq™. Additionally DOSCH&AMAND is providing ETSI compliant and DECT-Forum approved Certification Test Systems for CAT-iq and DECT all over the world.